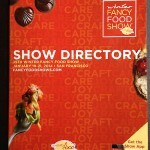 The Winter Fancy Food Show never fails to feed my inner food geek’s need for new ingredients and flavor combinations. 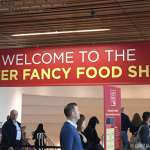 With over 1500 exhibitors and 80,000 products to discover, even two full days walking the aisles of Moscone Center isn’t enough. 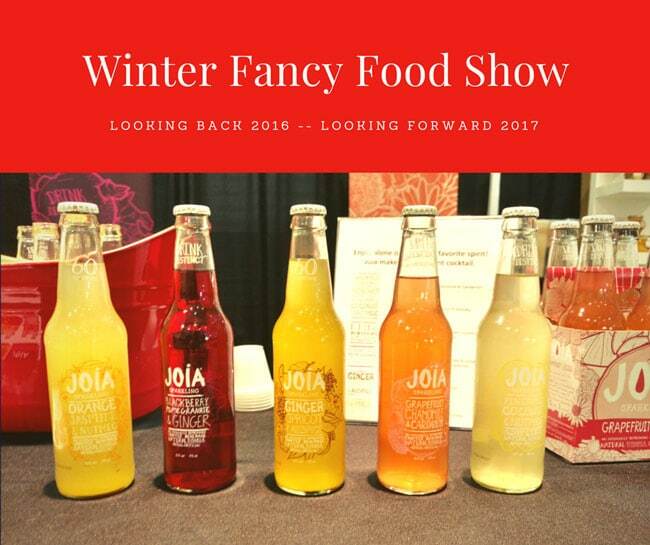 But with input from the official trend spotters and my eagle eyes and targeted taste buds, here’s my wrap-up of what was hot last year and a few thoughts about what to look for Jan 22-24, 2017 when we have another chance to be overwhelmed by a myriad of tastes and sips over three exhausting days. Will the Real Dairy Creamer Please Stand Up? I’m a traditionalist when it comes to cheese and still cling to the idea that cheese equals dairy. Having said that, I’m lactose intolerant so bring on the dairy-free products. 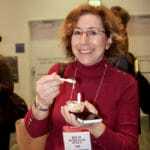 In many liquid dairy-free alternatives, the creamy mouth feel is often missing or the flavor is overpowered by the “dairy” source – for example coconut. But Califia Farm’s new BetterHalf Creamer adds richness to your coffee just like a half and half milk product. 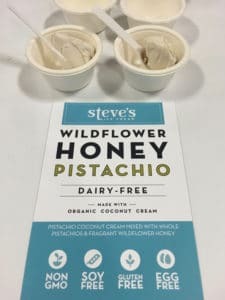 Steve’s Ice Cream w organic coconut cream also stood up nicely next to their full dairy alternative one counter away. 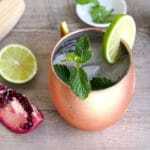 Brooklyn – the Cocktail Capital? Aside from a big housing budget, it must be a pre-requisite to enjoy cocktails if you live in Brooklyn. The borough’s corner of the North Hall was dominated by cocktail vendors. Barrow’s Intense Ginger Liqueur, Owl’s Brew Tea crafted for cocktails, and Hella Bitters made quite a triumvirate as you walked around the Brooklyn area. 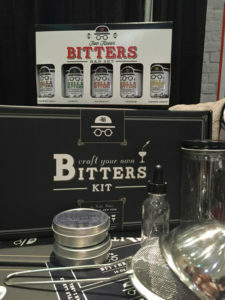 When all those alcoholic tastes made you hungry, many tasty options were nearby: We Rub You Korean sauces, Brooklyn Brine whiskey sour pickles, and Mike’s hot honey, the “world’s most versatile” condiment, which, you guessed it, also works nicely in cocktails. Kombucha – fermented sweet tea – is not new to the scene but the booths serving it were four people deep when you passed. But it’s not just effervescent tea leaves that we’re drinking. Drinkable vinegar products were everywhere from apple cider to brown rice to Pok Pok Som’s nine-deep flavor selection from tamarind to turmeric. 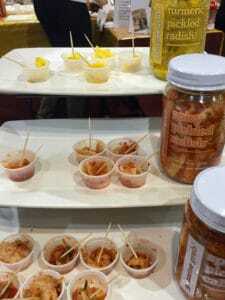 Not to be outdone, pickled products are still expanding with new flavor profiles such as Genuine Grub’s turmeric radish pickle which uses the little known fresh turmeric root for flavor, color, and its numerous healthy attributes. 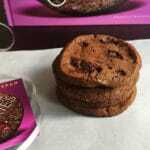 Gluten-free products continue to proliferate and seem to have crossed an important line of acceptance and product quality that should pique anyone’s interest, whether they can digest gluten or not. 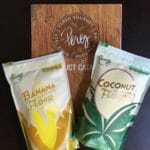 Alternative flours made from nuts and ancient grains were visible along with some unusual options such as banana flour in a brand new line of flours from Pereg Gourmet. 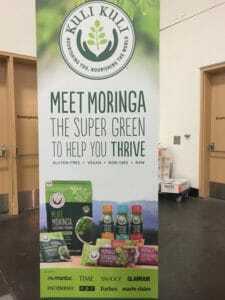 Matcha, a form of super nutritious green tea usually found in powder form, has met its match in a protein packed vegetable powder called Moringa. Sourced from Ghana, a company called Kuli Kuli based out of Oakland, Calif., processes the highly nutritious green leaves from the Moringa tree and turns them into protein bars, powder, and green juices for consumption. 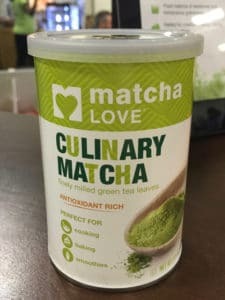 The sample I tasted was very similar in look and flavor to matcha but according to their blog, wins the battle in many important nutritional measurements including protein and calcium. Having said that, matcha was everywhere at the show – in traditional whisked form, in cans, and married with green tea in single serve bottles. Matcha, like moringa, has a high price point, but claims to offer an alertness without jitters that many ex-coffee drinkers seek along with a myriad of other healthful benefit claims. Alternative grains like teff will continue to emerge as a gluten free and plant-based option for baking and cooking. Non-dairy “dairy” products will continue to proliferate – I’ve already been contacted by a company that started out producing the Indian drink “lassi” but who will be debuting non-dairy versions with almond milk, for example. Poke has become a restaurant craze of late – I wonder how it might appear at the show – maybe in an increase of seaweed options and interesting condiments? I suspect fermented foods and drinks will still be popular. I’m curious if we’ll see more Filipino influenced products as that is expected to be a burgeoning cuisine this year. What do you think the hot products will be at the show? Let me know in the comments below. And I’ll report in on my social channels from the show and let you know what I find out! Hi Beth! 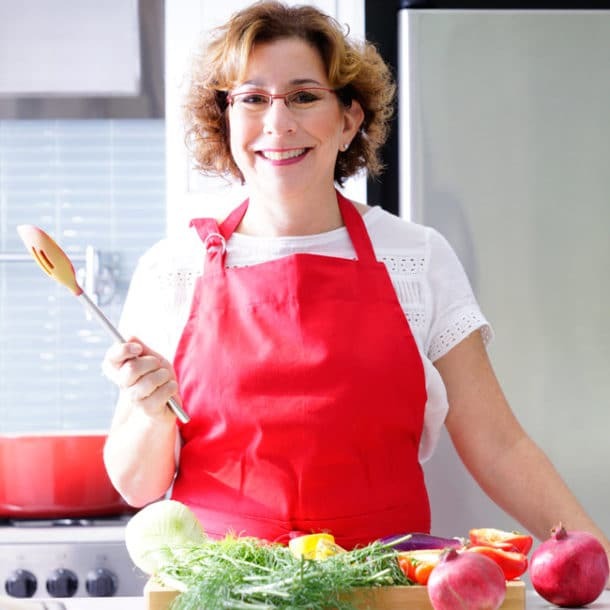 What a terrific overview of what’s happening in the food world. I would have been hovering around the fermented foods…turmeric radishes sound divine. It’s funny you mention Filipino food! I just made chicken adobo and arroz caldo and was thinking I’d like to explore more Filipino dishes. Cheers to a delicious 2017!